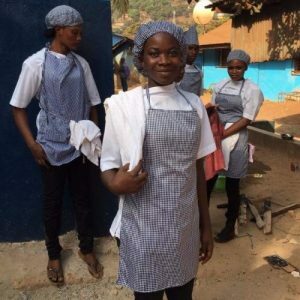 On 25th February 2017, the first students from a post-Ebola Freetown, Sierra Leone, stepped up to receive their awards. This was a momentous occasion, given that everything had gone on hold at the Betteh Tumara Technical Vocational Institute when the Ebola virus struck in 2014-15. “They usually say, ‘don’t give young people responsibility’, but the young people leading LifeLine Nehemiah have proven that theory wrong. I have worked closely with them and I am proud of this team,” said Godwin Samba, Former Director of Technical Vocation at the Ministry of Education, Science and Technology. 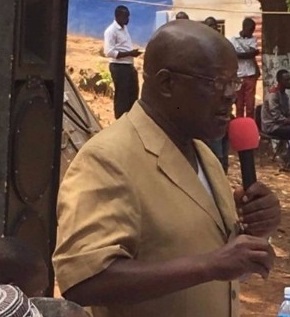 Godwin is talking about the leadership team at LifeLine Nehemiah Projects (LNP), mostly former child soldiers themselves who now head up the Betteh Tumara Institute in Freetown, Sierra Leone. His role in the Ministry of Education led to his close association with the team and the students over recent years. It was with great pleasure that the LNP team welcomed Godwin Samba, with Mimi Bangali who is Exective Director of Science Technology Engineering Mathematics Women (STEM Women-Sierra Leone), to give the address at this auspicious occasion. In particular, Godwin observed that LifeLine works in a different way from other training centres – he sees students elsewhere being left to work from software packages, and resourcing their own practical experience, whereas, at LifeLine, things are far removed from this. LifeLine’s approach is to support the whole person, involving mentoring, life skills and work placements, additional literacy and numeracy, and even customer service for all. This holistic, professional approach allows the staff to train students in just one year, as opposed to the normal two years’ minimum in other training centres. 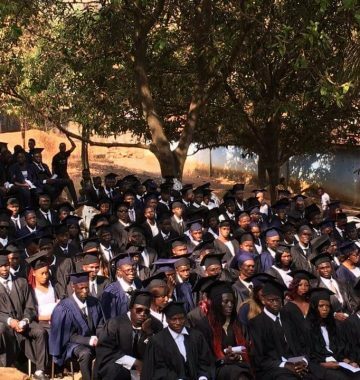 Visitors to the graduation included managers from key organisations; Kamaz Construction and Engineering Services, local police officers, and two Community Chiefs attended. The event was also covered by two media organisations – Africa Young Voice and the Sierra Leone Broadcasting Corporation. It was chaired by the director of Afromeric Institute of Cosmetology, Porcell Fornah. As part of the celebration, teams from the IT, Electrical and Hairdressing departments showed off some of their skills. It was also exciting to hear of outstanding progress made by some star students: Kadiatu Bai Kamara was a young woman with no experience of mechanics and now has her qualifications and a job; Mabel Fanta Kaiwo and Iba Quiwa were awarded their certificates in IT and have jobs; Richard Momoh Mandewa has qualified and been employed as a supervisor with Home Leone, as a result of his exemplary work placement in their construction business. Richard is also currently leading the team constructing the new IT lab for LNP. LifeLine Network UK’s partner, Lucy November, was delighted to be able to award the certificates. Many more of these graduates have gone on to employment, working as builders, electrical technicians and chefs, amongst other jobs. In a country of 70% youth un-/under-employment, (2016 United Nations Development Programme) of these graduates 75% claim they are now employed and 73% have had an increase in their income since completing the programme. The Betteh Tumara Training and Vocational Institute has trained over 1,000 young men and women since 2012, many of whom have gone on to gainful employment. The demand has been huge; now the training is so popular that there is a waiting list of 920 for the next year!